It is Friday once again and that means a new cocktail recipe to kickstart your weekend. 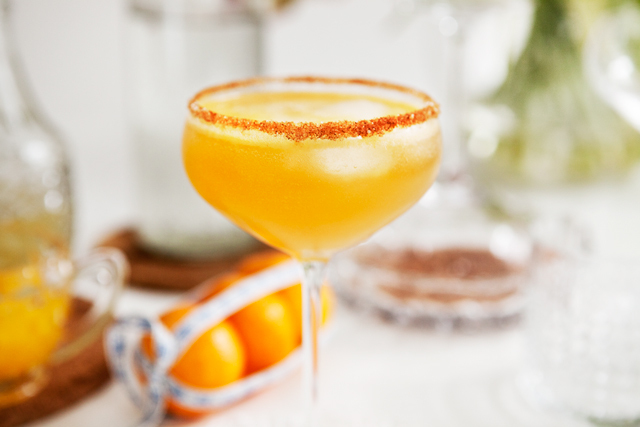 Today I made a simple rum based cocktail with clementine and ginger, served in a cocktail glass with cinnamon-sugar on the rim. The sweetness of the Rum, the spiciness of the ginger and the sourness of the clementine go perfectly together with that hint of cinnamon you get with every sip. A balanced drink that suits both tired housewives, the feinschmeckers, the businessmen and the regular Johns and Maries.